That's the first thing that I write when I am mapping out a major tool or product. Today it's for mapping out a high quality PBN network and you are going to see the results of this in this article with a very unique offer at the end too. Usually at this stage I already know what I want, but this step is quiet time, away from the internet with a notepad and pen and sitting in a local starbucks here in Pattaya with no interuptions. This is the stage where I take it as far as I can and brainstorm. Well the good news is that you won’t have to read my brainstorming as the next stage from that is to start making sense of the hundreds of ideas scribbled on a paper and that’s already been done. 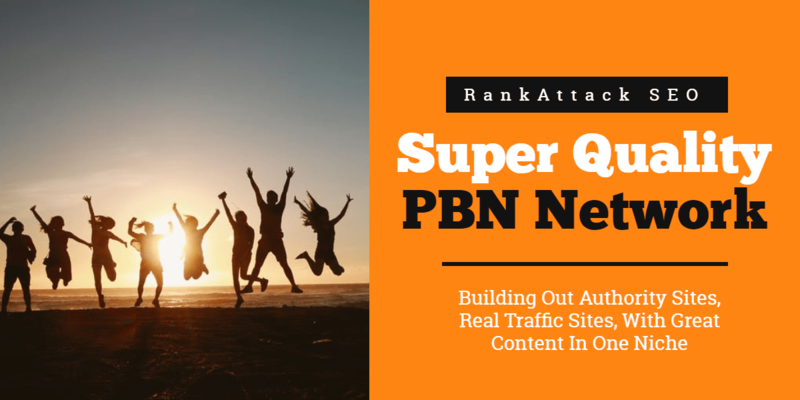 Only for serious marketers interested in the being a part of highest quality PBN network built for the internet marketing niche and who understand what we are building, and that it costs more to do this to the standard mapped out. What Would It Take To Make This The Highest Possible Quality? No other way to do this, we need to have high quality content based on top content from top marketing sites and blogs and outsource that content. Needs a full time PBN manager to order content, keep plugins and themes updated, add sites to easy blog networks, post content, create internal links and more. What Steps Would Be Needed To Maintain The Quality Of The Network? We control the content and outsource it, check for broken links regularly and only one money site link per article. Network sites need to be at least 2 months old before we start to add money site links. We need to plan this well in advance by reverse engineering top marketing blogs, their top pages and what content drives most traffic for them. We can also set up rss feed reader with feeds from 200+ top marketing blogs and monitor trending and up to date topics and news within the I.M niche as well as monitor buzzsumo and similar sites for the most shared content. All content needs to be outsourced and minimum 1000 words long. How Many Sites Are Needed? Minimum of 50 to start and all aged at least 2 months before we start adding any money site links. Limit the amount of links per month to 5 or 10 only but keep building at the rate of ten sites per month maximum. As you can see this is a serious project huh? So after a couple of hours I came up with something that is awesome and very high quality. We will be buying expired domains in the Internet Marketing Niche and these are great for using to backlink your Local Agency Sites, Affiliate Review Sites and Videos or Marketing Blogs. I will be employing a full time PBN manager and possibly an assistant who will build sites in Easy Blog Networks to begin with, add plugins, add different themes and add quality content. This is not a public network and maximum of 50 members allowed at any one time. This is private membership and will never be advertised anywhere, you need to know about it to become a member and only if spots are available. The fees will be monthly and we will grow this network month by month with your membership fees, which will also cover the cost of a full time PBN manager and I will include a full time assistant if all membership spots are taken. We Will Find The Domains, Build The Sites, Outsource The Content Etc. We Are Making Every Attempt To Make High Quality REAL Sites That We Build Into Authority Sites Over Time. The two PBN managers I have in mind are known to me, and they have both worked on PBN sites for me in the past. Well to do this properly it's not going to be cheap. Articles will cost approx $15.00 each even if we had in house writers, PBN managers cost money full time, buying quality domains each month, easy blog networks costs etc. You really need to understand what we are creating here to appreciate it and if you are not sure then this is not for you. I will be building this out anyway for myself either way, with less domains if needed but needing to use less links if it's just myself and a few others. That's why 50 members is absolute max and this will not be changed. This offer will become available in the next few weeks as we have right now around 30 PBN sites up within the internet marketing niche but I need to add 20 more. The good news is that I have already found the extra domains and bought some of these which still to be added to easy blog networks. If you are interested you can send in a support ticket requesting more info when we release this to support@anthonyhayes.me and we will keep you on file to be notified. 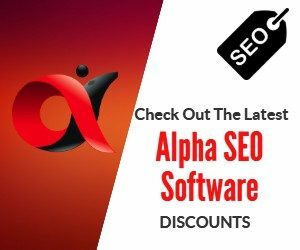 If we get a lot of interest then we will give first option to people who have bought recent products that we have released starting with Local Biz Alpha and VidSpy Alpha customers.